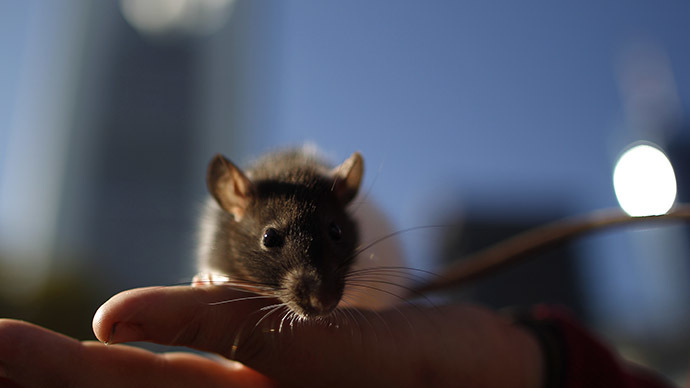 The four year-old drought in California is causing an influx of rats and mice to seek sustenance inside homes and around public water sources during their spring breeding season, according to reports. With less available water outdoors, rodents are using structural vulnerabilities and accessible lawn foliage to gain access inside California homes that provide the necessary water sources, CBS 13 in Sacramento reported. “It’s a very busy time especially with the drought situation,” Kevin Carpenter of Good Earth Pest Control told CBS 13 of rodent breeding season. Seeking at least an ounce of water a day, rodents target cracks or openings only as large as the width of a human thumb. Carpenter said low-hanging trees that allow rodents to reach roofs are also a point of accessibility. “Those rodents will climb right up. They’re excellent climbers and they will climb right up the trees and drop down on the roof,” he said. Outside of sealing foundation openings, homeowners can prevent rodent infestation by eliminating nearby outdoor sources of water, such as pet water bowls, he added. State wildlife officials said avoiding rodent poison will also help birds like owls and hawks maintain a healthy diet of rats and mice. “These wildlife are right around us and you might not notice them but they’re actually there. And they’re helping control rodent populations and as long as you’re able to protect them, they will do that for you,” Stella McMillan told CBS 13. In the San Francisco area, there have been reports of more rats out in public than usual, as the area's water shortage has drawn them in search of nourishment. "There's no water source for them right now so they're going outside to get it," Tina O'Keefe, of Dirty Rats Rodent Removal, told the Bay Area’s NBC affiliate. "They eat plants. They eat meat. They're going to the dog park because there are water bowls. They're going to horse stables because there's water." Areas like Heron Head Park, just south of San Francisco, have attracted major infestations thanks to abnormal weather patterns. "This has not happened before," Renee Dunn Martin, a spokeswoman for the Port of San Francisco, told the San Francisco Chronicle. Heron Head Park is owned by the port system. "It’s an open space, and a natural habitat for a lot of creatures, but regarding the rats, we are definitely on top of that issue and doing our best to address it,” Dunn Martin added.